Some oversize or heavy items (such as wood posts, fiber rods, t-posts, and wire) do not qualify for free shipping. If your order includes free shipping items AND heavy/oversize items, you will pay only the heavy/oversize items portion of the shipping cost. Items that DO NOT QUALIFY for free shipping are marked in the "Shipping Status" bar on the product details page. A $45.00 pallet fee may apply for oversize items such as deer net, woven wire, and t-posts. Free shipping applies to the Continental US only. Any orders shipping to Alaska, Hawaii, Canada, or Mexico that are free shipping qualified are eligible for up to a 20% discount. Free shipping offer applies to the lowest-cost carrier (USPS MAIL, UPSG, and LTL CARRIERS) and cannot be applied to expedited shipping services. If USPS MAIL is the cheapest rate, Kencove will ship it Priority Mail. If you would rather it be shipped by UPS, then you will pay the difference between USPS Mail rate and UPS rate. All shipment charges, additional handling charges, and service options are given to you prior to checkout. If a $40.00 paid pallet fee applies, the Sales Department will contact the customer. Customers get truck rates on large orders as well as various UPS shipment options. We work with many freight (LTL) carriers to get the best rates. For freight (LTL) or flatbed shipments, the customer is responsible for off-loading and signing for goods on arrival. If there are damages to the order, you must make a note on the carrier’s (LTL) copy of the Delivery Receipt. CAREFULLY INSPECT ALL ITEMS BEFORE SIGNING THE DELIVERY RECEIPT. If you do not make note of the damages or missing items, Kencove cannot replace them. Signing for the items without making sure everything is there and free from damages releases the LTL carrier from any claims, and Kencove cannot replace the items for free! *Additional services such as lift gate (if not specified at time of order), rerouting (changing the address after LTL has picked up order), redelivery (not being there at scheduled delivery time), and detention will result in additional fees from the LTL carriers and will be charged to the customer. *All shipping times in transit are approximate. Kencove is not responsible for delays in transit. Guaranteed services are available, but an additional fee is required and service must be requested at the time of the order. If you decide the shipping cost is not feasible, contact the Sales Department at 1-800-536-2683 to verify the quote or to check other shipping options. If you only order wire to estimate the shipping costs, and then add additional products to that order, it will change shipping costs. PasturePro Posts qualify for free shipping if the quantity of posts ordered exceeds $1,000.00. Posts must be purchased in full bundle quantities and may be shipped separately from the rest of your order. Carefully inspect your shipment upon receipt, and notify carrier of damages or missing packages. All shortages, errors, and damages must be reported to Kencove within 48 hours. Please check your packing list/invoice upon receipt of order. Do not wait until you begin building your fence to check your order. All orders under $75.00 pay actual shipping cost. Orders outside of United States and Canada are subject to a $50.00 wire charge fee. Returned and/or rejected e-checks will incur a $10.00 fee and loss of any payment discounts applied to the order. 10% restocking fee applied to returned, unopened/unused products. If products are opened or appear to be used, additional fees will be applied. 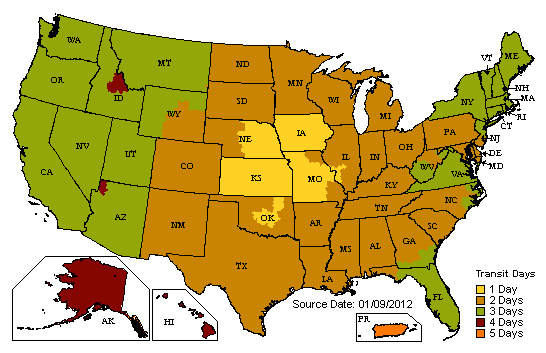 Sales Tax is charged in PA, OH, IN, MO, ID, NC, GA, and KY. Your order will be shipped from the nearest location when possible. If you would like directions to the location nearest you, see Directions. It is a good idea to call ahead and make sure your order is ready and the office is open. 1-800-KENCOVE (800-536-2683). Current shipping rates are available. The web site makes the best calculation possible. To check actual shipping cost on your order call 1-800-KENCOVE (536-2683).